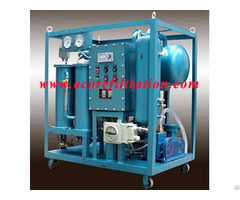 VHF Hydraulic Oil Flushing Cleaning Machine includes vacuum type and trolley type. 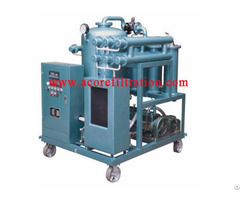 Vacuum Hydraulic Oil Flushing Cleaning Machine is used in addition to vacuum separation of water in the vacuum heating oil temperature reaches 60 degree, the water began to evaporate through the condensing system, in addition to achieve the effect of water through increased power, faster water removal, in addition to the water content can reach 10% of the oil. 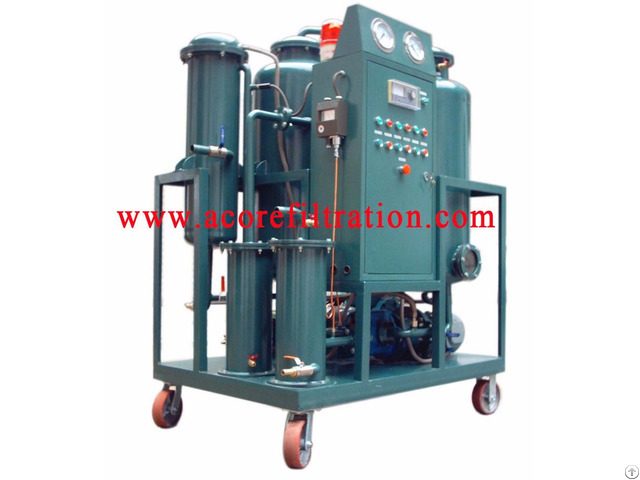 The vacuum hydraulic oil filtration system can remove water effectively and increase the service life of equipment operation. 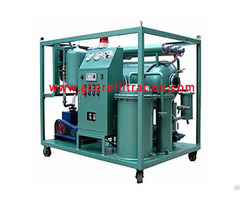 Trolley type hydraulic oil Flushing Cleaning Machine does not have vacuum dehydration systems, it mainly has interception filter impurities, cart-type oil filter according to the oil situation, the oil contains much to drink on the cleanliness requirements of different series of magazine filtration, conventional equipment: a filter (LUC) car oil filter, two filters, three filters, and multi-stage filtration. The device can be used in different configurations according to customer requirements, whether or not explosion-proof. User can choose suitable hydraulic oil Flushing Cleaning Machine according to requirement, or contact us directly and we can recommend best one to you.